Well, I didn’t get around to posting to this blog yesterday, but I DID complete Day 12. To my committed fan base, you are do doubt anxious to hear how I am progressing in the pull up department. Yeah, well, I continue to struggle. Though I now can do 1/2 of a Reverse Grip Chin-Up and I amazingly did 3/4 of a Closed Grip Overhand Pull-Up. I continue to do 4-5 negatives of each type along with 25 reps of my heaviest band, maxed out for both rounds. I read in the Team Beachbody forums how some are doing 60+ pull-ups? Amazing. Maybe if I inject myself with stem sells and rub steriods all over my chest and back I can get these kind of results! The legs part of this routine is “easier” for me. I can keep up with the DVD people and can do all the reps. I guess my question here is, am I supposed to increase the reps or add some weight if I am doing the reps they want? Ab Ripper X. I have been improving here, increasing my reps each time. It was suggested to me that I hit “pause” and perform all 25 reps of each at my own pace, but get the full 339 ARX reps in. I thought that was a good suggestion, so I did that yesterday. Now I need to focus on form and reducing the pauses. I’m pretty pleased with the ARX improvements over this short period. Tip of the Day: I had an appointment and had to run out after completing Legs & Back without doing the cool down stretching. Avoid missing the cool down stretching. I tightened up quickly, and needed to stretch out a bit before doing ARX later in the day. 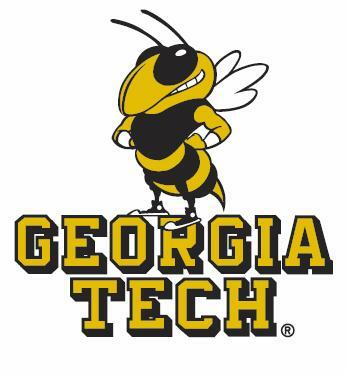 Proud parent moment: My son, Daniel, has opted to go to Georgia Tech to pursue Mechanical Engineering. I’m excited for him. This entry was posted in P90X, Round 1 and tagged Ab Ripper X, Georgia Tech, Legs & Back, P90X, Pull Ups, Tips. Bookmark the permalink.